NBC 5 Chicago in partnership with The NBCUniversal Foundation, today, announced $100,000 in grants for three local non-profit organizations. “These winning programs are finding solutions through collaboration and innovation. We are grateful for their commitment to Making A Difference in our community,” said David Doebler, President and General Manager of NBC 5. Checks will be presented to the winning organizations Wednesday, December 17, during the NBC 5 News at 11am. The Chicago recipients include The Gads Hill Center, which will receive $50,000, and runners-up buildOn and The AARP Experience Corps, which will receive $25,000 each. The Gads Hill Center has been awarded $50,000 for their ongoing work. 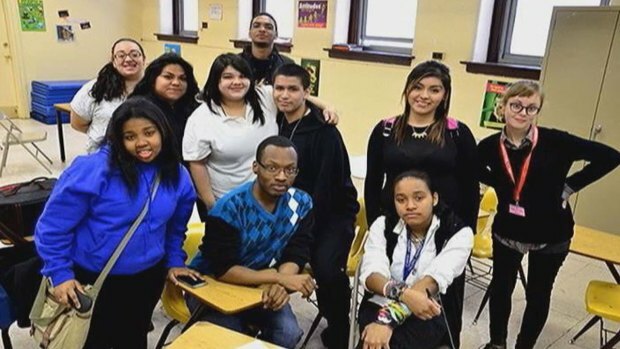 Their Bridges to Success program mobilizes teens in Chicago's under resourced Back of the Yards community for school achievement by opening new doors to postsecondary and career attainment. Through a partnership with United Way of Metropolitan Chicago, students will be connected with guest speakers and corporate mentor matches from a vast reservoir of leading United Way partnerships' such as Exelon, AT&T, and Bank of America. "Bridges" will invest in students who have the desire and potential to succeed in higher education, but who, until now, have lacked the resources and opportunities they need to do so. buildOn will receive $25,000 for their work with the Youth Engagement Zone at TEAM Englewood Academy. buildOn’s model of service, education and building schools engages students in their communities in positive ways, empowering them to increase their academic and civic engagement. Last year, students from neighborhoods with the highest violent crime rates in Chicago contributed over 45,000 hours of service to their communities and traveled to developing countries to build a school and help increase access to education for villagers. As a result, buildOn students value and appreciate their opportunities for education, leading to increased academic engagement and lower truancy rates. that students will progress academically, graduate from high school, and avoid perpetuating the cycle of poverty. 21st Century Solutions awards $1.2 million nationwide in the 10 markets served by the NBC Owned Television Stations. One winning organization and two runners-up are selected in each city. NBC 5 promoted the initiative locally and created a panel to review and select the final grant recipients. Launched in 2012, the 21st Century Solutions program supports initiatives designed to address emerging and ongoing community challenges in new and creative ways. By focusing on social innovation, the program encourages non-profit organizations to drive forward bold new ideas to make our local communities stronger. The full list of 21st Century Solutions grantees can be found here. NBC 5 Chicago in partnership with The NBCUniversal Foundation on Wednesday announced $100,000 in grants for three local non-profit organizations.